Fraser Suites Perth is an apartment hotel that sets new benchmarks for Perth City apartment accommodation. The impressive 19-storey tower in East Perth features 236 gold-standard residences, adorned with outstanding interior and exterior designs that are simply breathtaking. Modern studio and one bedroom configurations can be connected to create two-bedroom apartments, ideal for short or long-term stays. Description Fraser Suites Perth offers superior apartment style accommodation and outstanding rooms for conferences, meetings and events with a convenient CBD location. 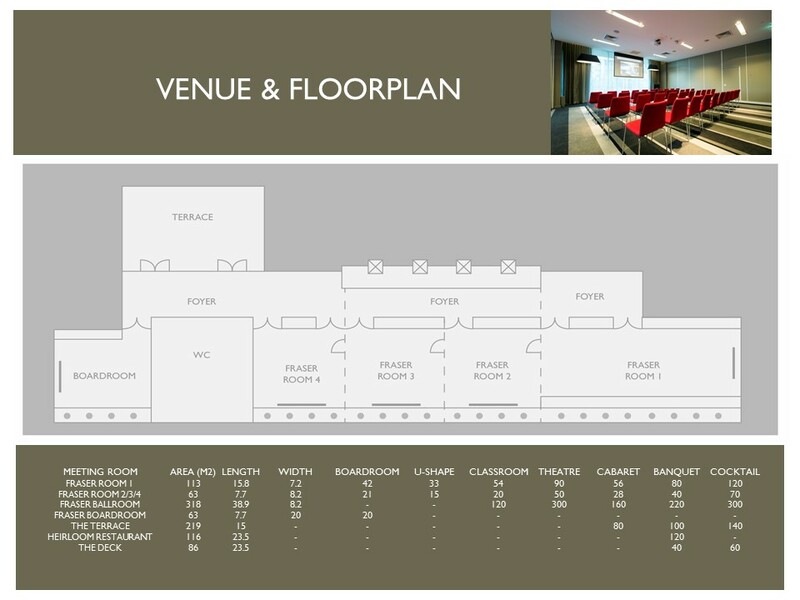 All function rooms boast floor to ceiling windows along with modern and contemporary décor.